Meanwhile, Modi’s six-day tour to Germany, Spain, Russia and France started on May 29 and end on June 3. 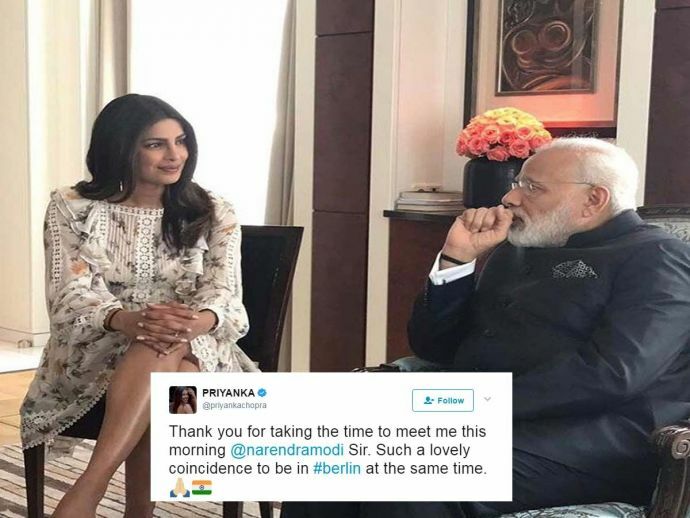 Prime Minister Narendra Modi, who is on his six-day tour of Germany, Spain, Russia and France, met desi girl Priyanka Chopra in Berlin. PeeCee took to her social media handle and posted this adorable picture with PM Modi. Priyanka is in Berlin for the premiere of Baywatch, which was held on Monday. Was such a lovely coincidence to be in #berlin???????? at the same time as the Prime Minister. Thank you @narendramodi Sir for taking the time from your packed schedule to meet me this morning. ???????? Posting this amazing picture with PM, PeeCee thanked him for taking time out to meet her this morning. Priyanka Chopra’s Baywatch, which was released in the USA on May 26, got poor reviews from the critics and now she is all set to see its Indian release on June 2. Meanwhile, Modi’s six-day tour to Germany, Spain, Russia and France started on May 29 and end on June 3. 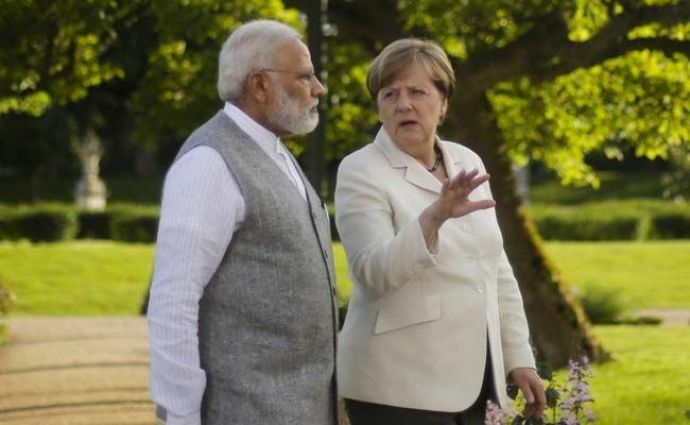 Modi on his Germany visit met Chancellor Angela Merkel for joint cabinet talks in Berlin.